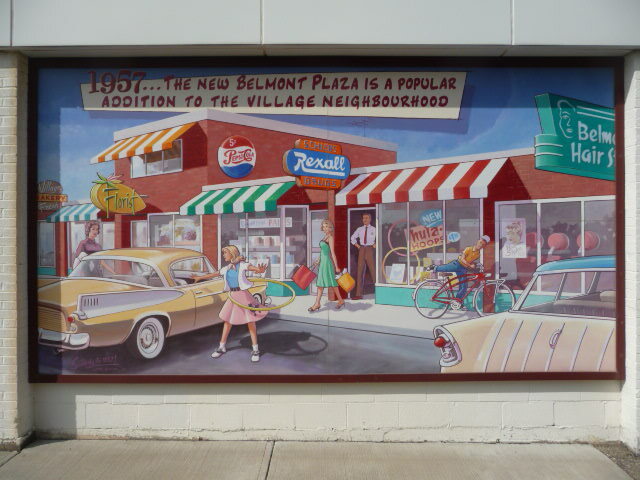 Personal photo of a mural in Belmont Village, Kitchener ON marking the 1957 opening of a plaza. Nostos is Greek for homecoming (such as after a long trip), and algos is Greek for pain. The words were combined in 1688 to make the word nostalgia. At that time it meant acute homesickness. Today the word means a sentimental longing or a wistful affection for a time or a place in the past which has happy personal associations. In short, a world in which, from my perspective as a child, everything was simple and straight-forward. All was good and all was at peace. As far as I knew, this was what the world was like and it was normal. Life today is not normal. As an adult, I know the world is much more complicated and challenging and not as secure and carefree as it was in the experience of a child. There are finances, politics, international conflicts, social inequities, and all sorts of other issues making life way more complex than I conceived of it as a child. I feel nostalgia for the “normal life” this home represents, and the part of me that daydreams sometimes wishes I could go back to the world I knew as a child. 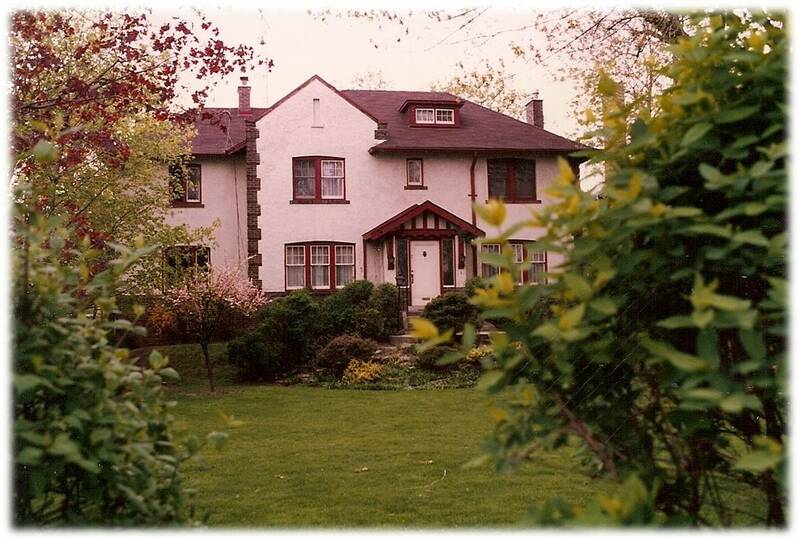 To drive home the impossibility of even daydreaming about it, my siblings and I sold our childhood home five years ago and the new owner demolished it. I’m left with only a memory that I can cherish, but not resurrect. There is no hope of a return. It’s gone, and the adult me has a different normal that is reality today. The church experiences nostalgia too. Many of our Christmas productions feature Victorian Christmas scenes and portray a far more deeply connected social world than most people experience today. Ministries produce nostalgia. I have just over 500 episodes of Focus on the Family’s great radio series Adventures in Odyssey, which takes place in an idealized small town America that we all probably wish we had grown up in. Just mentioning the words ‘camp meeting’ can take people back fifty years or more and make their eyes sparkle with excitement! Even the King James Version can be nostalgic. It’s not just another translation. Luke’s Christmas story in the KJV takes me back to Grade 4 in a public school, when every student had to recite the Christmas story by heart to the class. Psalm 23 in the KJV takes me back to when it was read aloud by the congregation at the magnificent church I grew up in, and the feelings of wonder and awe that church inspired in me for God. Older people in my own church today wax nostalgic about the glory days of bus ministry and an evangelism movie that attracted thousands of people. We remember when Canada was “Christian” and its laws supported a Christian worldview, when public schools had Christmas pageants and each day started with students and teachers reciting The Lord’s Prayer together. Recent studies1 show that on balance nostalgia is good for you. It makes you feel more socially connected with others, something that builds positive feelings about yourself. That in turn boosts your self-esteem, which increases your optimism. You are happier and probably more successful because of nostalgia. Nostalgia provides “context, perspective, and direction” that give meaning to our lives. But nostalgia has its downside. A 2006 report in Psychology Today warned that “overdoing reminiscence” risks an absence of joy derived from the present, and a reliance on past memories to provide happiness. If overindulged, nostalgia can give rise to a utopia that never existed and can never exist, but that is pursued at all costs, sapping all life and joy and potential from the present. People who are worriers or who are already depressed will usually be more so after experiencing nostalgia because the memories tend to heighten the sense of loss or how far they are today from happier times. Dr. Constantine Sedikides suggests that if people who worry or are depressed focus on the past in an existential way — ‘What has my life meant?’ — then they can potentially benefit from nostalgia.5 This is good advice for all of us. For example, I will benefit most from my nostalgia if I give up the idea of recreating the specific circumstances associated with my childhood home and focus instead on how that experience shaped me. What values do I want to carry forward? How can I make my children feel as safe and secure as I felt? What family celebrations should I be developing for my own family? How can I build strong family relationships? The KJV is remembered so fondly for the beauty of its language. Could we not produce prayers, devotionals, and even blog posts as eloquent or beautiful today? Could we reintroduce memorable, beautiful, even artistic, recitations of the Psalms? How could we build authentic deep social relationships in real life, and not just portray them in plays? 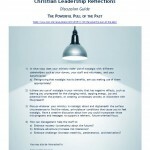 How do we make the church an important part of society without access to official power or influence? Something we must not do is get stuck trying to recreate the specific contexts and circumstances that existed in those nostalgic times. For at least half of the 20th century, most Canadians self-identified as Christian. There was broad consensus about Christian values and laws based on those values. Even the Supreme Court of Canada agreed with this assessment as recently as 1963. But the religious make-up of Canada has since changed forever. We can’t go backward. There is a part of the church that yearns for the past and is stuck trying to recreate it by creating Christian enclaves within which we can pretend we have gone back. But unintentionally all they’ve done is create Christian ghettos. They’ve withdrawn from the very society they are supposed to influence. We need Christian institutions to support our spiritual growth and our mission work, but we cannot be faithful by building walls to protect us from the bigger world. We can only be creative about our future when we accept the reality that, just like my demolished childhood home, Christian Canada has already been dismantled and reconstructed into something new. It provides certainty. The memory of what has already happened and been experienced is much more comfortable than the uncertain mystery of a future not yet lived. We must embrace mystery and accept that uncertainty about the future is the new normal. Alignment with our worldview and values. The past is a safe harbour while the future is an open sea with threatening weather on the horizon. We must embrace adventure and develop a higher tolerance for risk. We must embrace challenge and be more creative, persevere longer, and increase our motivation so that no obstacle will stop us from fulfilling our mission. What I thought was my normal life was only normal for part of my life. I live in a new normal today. And so does the church. I may be sad that society has changed so much during living memory. I might wish I had been born a generation or two earlier. I could wallow in nostalgia. But that wouldn’t be reality. I need to live in the only time that God has given me. When the state supported our faith, it didn’t take a lot of faith to live faithfully for the benefit of others. The state carried a lot of that weight. And it doesn’t take a lot of faith to live faithfully today if we accept the secular idea that our faith should stay in the private sphere. What would challenge our faith, Miraslav Volf writes, is if we took it seriously that by our faith we are to be a witness to others. That means living out our faith in the public sphere. If faith is bracketed out of our lives in the public sphere, then it doesn’t make much of a difference in our lives.6 Christ calls us to live a very public life of Christian witness. A church that doesn’t adjust to changes in the outside world and which simply retreats into a smaller and smaller world, has failed to be the church. It cannot fulfill its mission with a fortress mentality. The church is wrong when it retreats from or assimilates with the society that surrounds it. A faithful church will seek the fresh inspiration of the Holy Spirit to find ways to be missional in today’s public sphere. Key Point: God has us on a journey forward to his ideal future, so keep looking forward!